Torbole sul Garda, 200 metres from the beach. “Ponale” trail offers a spectacular view of Benaco. 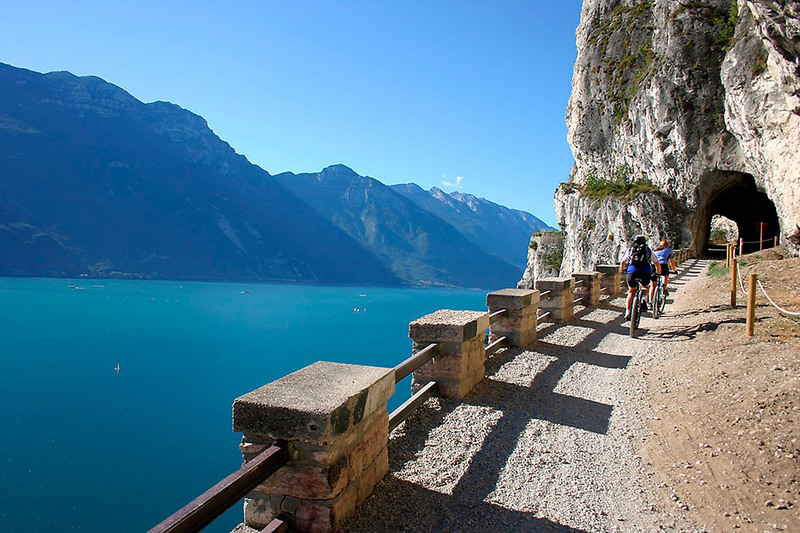 Transformed into a hiking and cycle path, it is one of the most important scenic and naturalistic attractions of Lake Garda in Trentino and is recognised as one of the most beautiful trails in Europe. The Ponale trail connects Riva del Garda to the Ledro valley via a road that was carved into the rock in the second half of the 1800s. In 2004 it was transformed into a trail, that is also suitable for bicycles. 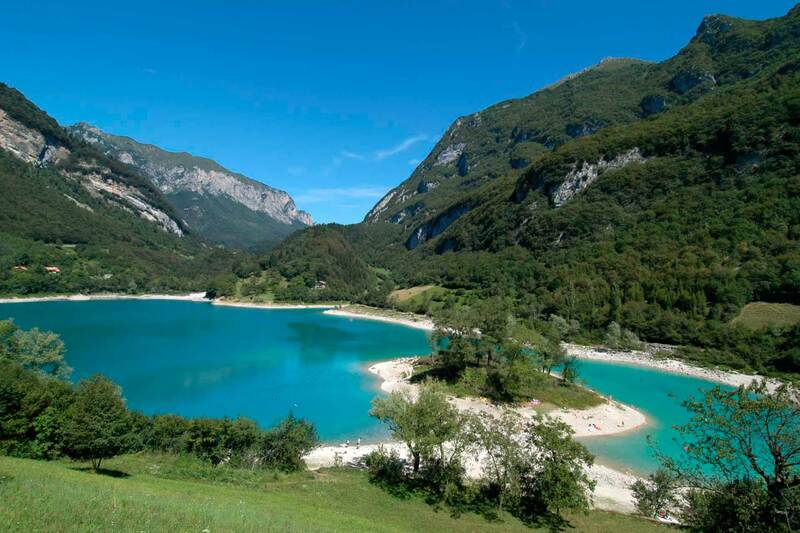 A small natural basin characterised by an intense blue colour, Lake Tenno is as pretty as a picture and one of the cleanest bodies of freshwater in Italy. Motor boats are prohibited from sailing on the lake. Panoramic stairway on the eastern side of Lake Garda. A very scenic, 4-kilometre long natural trail that leads to the Busatte Park in Torbole from Tempesta. Along the way there are three exposed stairways, built onto the rock, with a total of about 400 steps. 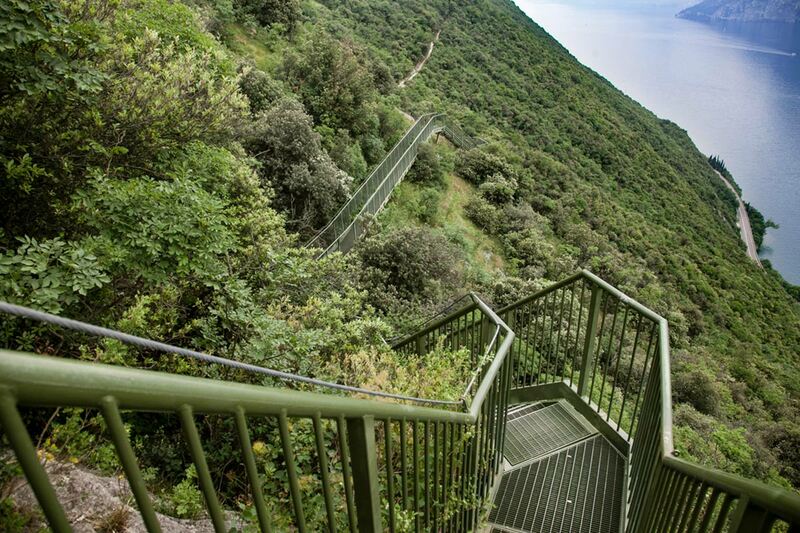 The path is suitable for anyone and will amaze you with its stunning views across Lake Garda. One of the most beautiful and clean lakes in Trentino. 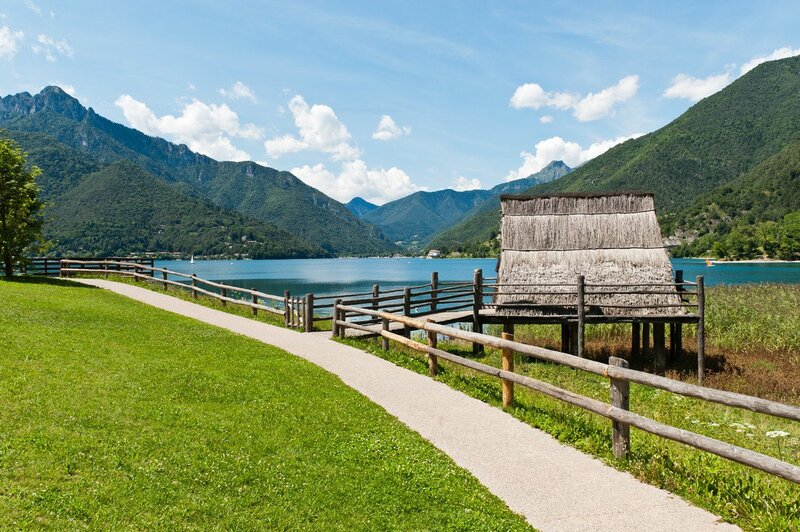 Lake Ledro is located at an altitude of about 650 metres above the Alto Garda. Unlike Lake Tenno, motorised navigation is permitted here, in addition to most water sports such as wind-surfing, sailing and fishing. The only rotary cable car in the world, allowing you to admire the panorama in 360​​° and transporting passengers from the lake to a height of 1800 metres in just a few minutes. 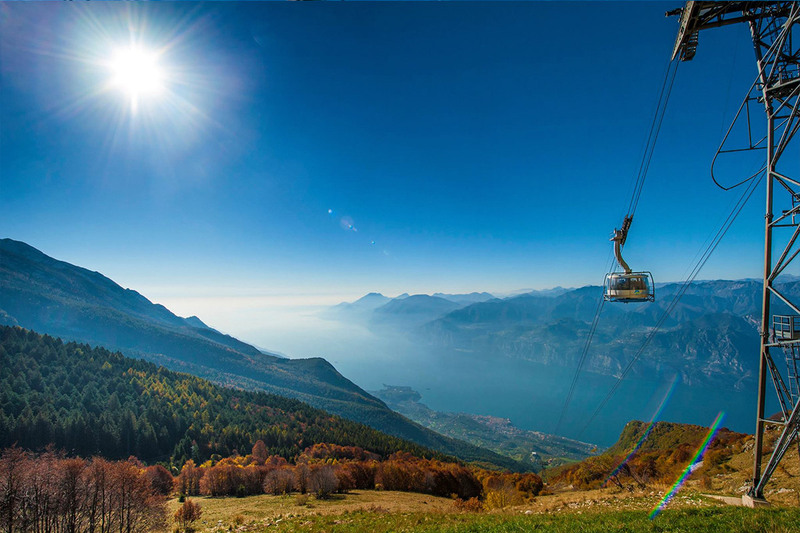 A beautiful, blue-tinted journey from Malcesine to the summit of Monte Baldo. The blue of Lake Garda blends with the blue of the sky for an extraordinary 360° panorama of the natural landscape below.